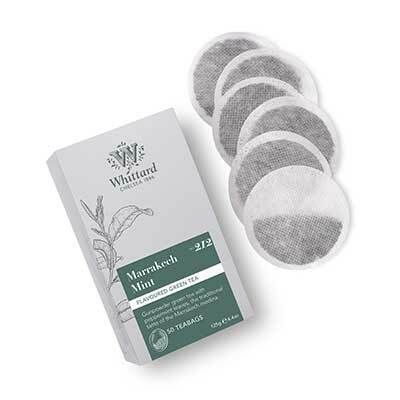 Looking for Marrakech Mint Teabags? Inspired by the tea served in the souks of the Moroccan medina, we've blended our smoky Gunpowder Green with pure peppermint leaves for a refreshingly nuanced infusion. We've even added a sprinkling of blue cornflower petals for a British touch – why not try it the traditional way, mixed with honey or sugar? Green Tea, 10% Peppermint, Cornflower Petals, Flavouring. Loved the light mint flavour in my tea.. This used to be a lovely refreshing spearmint flavour, and is now a harsh unpleasant peppermint. Such a shame. It's the one and only time I couldn't bring myself to use it all; it went in the compost bin, but I pity the poor plants it goes on.